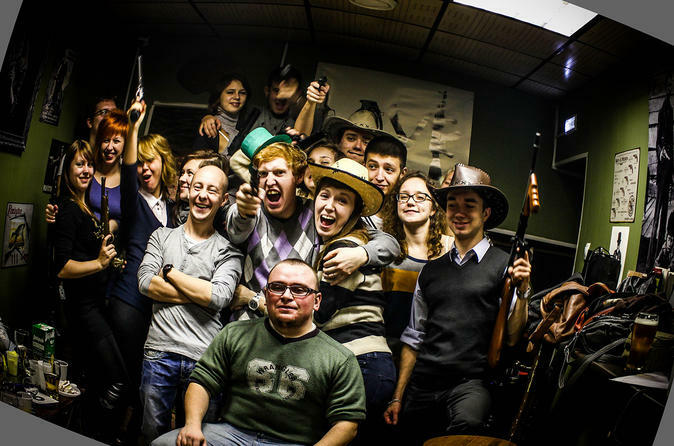 Take aim with replica historical guns at St Petersburg’s Golden Bullet Shooting Club on this fun, private 1-hour experience for up to 10 people. Head inside the cozy, memorabilia-filled club and enjoy the shooting zones using air-powered replicas such as Kalashnikov rifles, pistols and more. Fire at regular targets such as balloons and candles, or test your reflexes with interactive computer-simulated games. Your session includes unlimited shots, personal instruction, use of the rest zone with its board games, movies and music, and two liters of draft beer at the bar.